I did not explect I would get to go on this backcountry hike by getting reservations, or I would have planned my purchases in advance. Of course if I had planned ahead I would have missed the excellent advise from folks I have met along the way. The first thing I needed was a suitable backpack. What size? What options? Here is where asking friends and sales people pays off after you do some research. With every oz. counting now towards what I have to carry I chose the above pack based on size, weight, and features. Size: I need the pack to fit on the front passenger floor out of my way. I also spoke with a number of people that told me a 50 liter bag should suffice for size. Weight: For weight at 3 lbs. 13 oz. I'm getting a bag without the stiff wire frame so it may be a tad heavier than others but it will fit well on the floor of my Prius. Features: After reading reviews having external pouches or compartments make the bag so much easier to access items, but this is a bit more material and zippers. 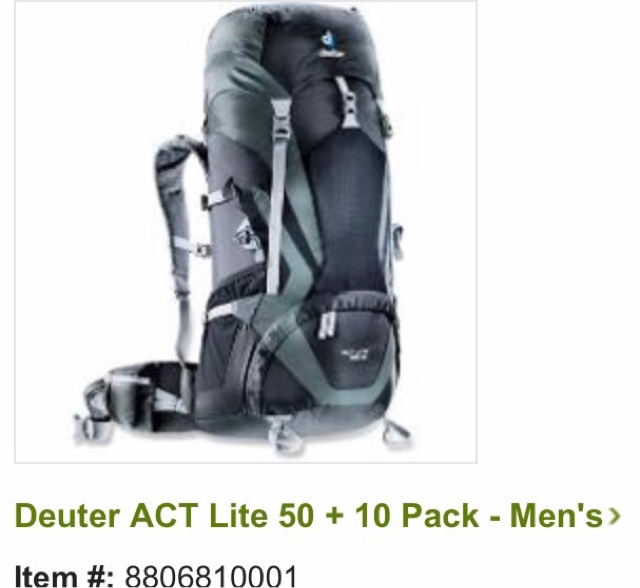 This pack come with outside compartments that can be accessed by another hiker while you wear it and has a separate sleeping bag pouch, and the bottom pouch has an internal zipper that the main compartment can be accessed from the bottom and not just the top. 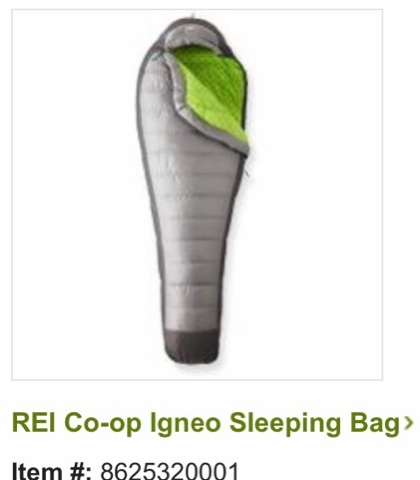 The next big item is the sleeping bag. I have one I use in my Prius but it is rectangular and very bulky. Therefore it is not suitable for backpacking trips. The main considerations are weight, temperature rating, and size stuffed in a sack. Weight: At 1 lb. 13 oz. this is an excellent weight for a lower temperature bag. Temperature: The bag is rated for the lower limit of 19 deg and comfort of 30 deg. I'm expecting temperatures overnight around 40 degrees. Stuffed sack size: At 8" x 17" and moldable it fits directly in the backpack pouch designed for the purpose. I have a rectangular Thermarest sleeping pad in my Prius but after checking the weight it is 2 lb. 10 oz. and this is way to heavy if I'm trying to stay light weight. 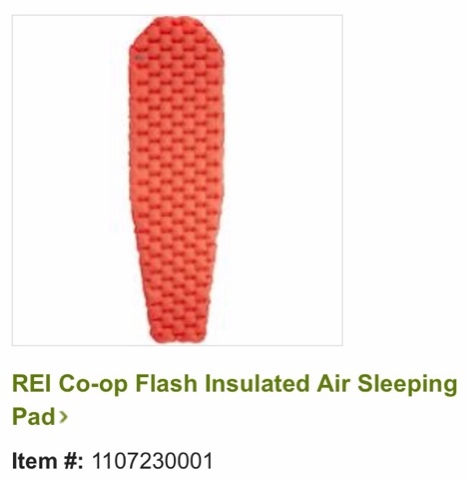 Weight: This sleeping pad just came out for sale at REI and is only 15 oz. and is tapered to save weight. Thermal: This mattress manually inflates by blowing into it. Typically air mattresses have poor thermal rating but the R value is if this one is 3.7 and this is actually very good. Pack size: 4" x 9.5"
- Backpack 3 lb. 13 oz. - Sleeping bag 1lb. 13 oz. - Sleeping pad 15 oz. As I resolve other items I still need I will include them in another post and tally the total weight.